"Since going from vegetarian to vegan, I have more energy and need less sleep. I also recover from workouts faster, and have more stamina on the ice." "Going from vegetarian to vegan was surprisingly the easiest thing I have ever done, and not surprisingly, one of the most meaningful and life altering decisions I have ever made. Becoming vegan brought a strong sense of serenity to my life along with an enhanced feeling of awareness. I feel healthier, my body feels ‘cleaner’ and I am at peace with myself. The only question in my mind is why it took me 18 years of vegetarianism to figure it out." "Studying spirituality led me to become vegetarian. If we are really all one, I thought, then I must start living like it. That was almost four years ago. Then last year, after 3 years of being vegetarian, a friend pointed out the inconsistencies in my reasoning for being vegetarian. She said if I really cared about animals and didn't want to be contradictory, then I would be vegan. This five-minute conversation turned it all around for me. I became vegan on the spot and continue to be nine months later. I feel more aligned with my spiritual path, acknowledging my morals and ethics every time and sit down to eat a meal. Vegan for life!" "I always said, 'I will never go vegan. I simply cannot do without cheese.' Well, never say never! One day, I just decided to do it. I went through a period where I was "detoxing" from dairy; I felt mildly sick, feverish and had a runny nose all the time. It was all that mucus leaving my body! Once it all got out, my tastes totally changed, my triglycerides went from 180 to below 80, and I feel GREAT!!!!!" "I have been vegan for 13 months now, and the reason is simply to extend my healthy lifespan. As a 40 year type II diabetic, with good kidney function, healthy heart, healthy eyes, and no other diabetic symptoms, I appreciate the health benefits and the increased energy of being vegan." "For the first 30 years I was a meat eater, suffering every day with pain and acute hay fever until I stopped the dairy. Then I became a vegetarian for the next 25 years having occasional eggs and animal food until I began suffering with crippling or acute gout in the arms and legs from the lactic acid. Now, for the last 10 years, I have gone from vegetarian to vegan. I feel so much better and clearer! It's something akin of enlightenment!" "I became a vegetarian when I was 12, and went vegan over 4 years ago when I was 36. Even as a vegetarian, I'd suffered from debilitating migraines that wiped me out for two days each month. The day I went vegan the migraines stopped and I've never had one since." 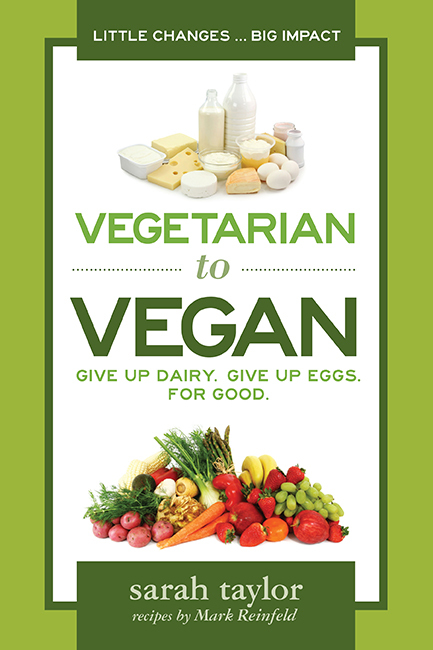 "The transition to a vegan diet isn't difficult. In fact it cuts out all the compromise that was previously part of my decision process. It's guilt-free." "After four or five years of being vegetarian, I gradually transitioned to a vegan diet, and it is a decision I've made that I'm still really happy with 16 years later. At first, I vaguely remember finding it a bit challenging becoming vegan, but it soon became second nature, and I find it really easy now. I have a son now and he's vegan too...he loves his vegan food, and is full of health and energy "